Downey Daily Photos: Summer's in the air! Summer might not be on the calendar (in fact, it's not even spring yet), but today in Downey, summer was definitely in the air. And then shopping at Downey Landing tonight reinforced the feeling. Old Navy was selling shorts and tank tops. 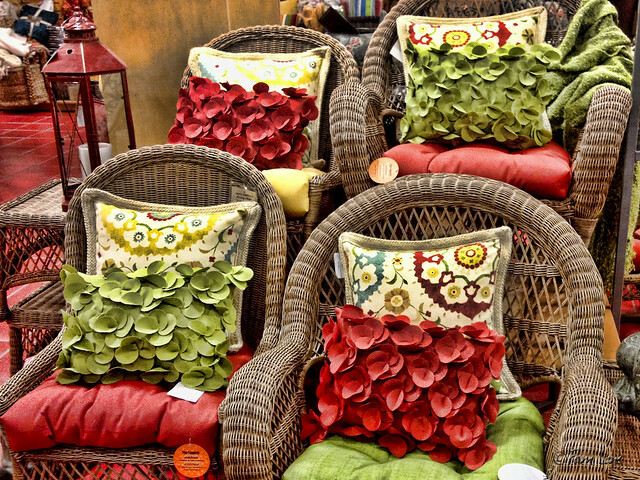 And the display at the Pier One store, with its patio chairs and bright colors and cushy pillows, made me want to find a nice corner of the yard to curl up and relax in.